It all started in Denmark in the small town Ølgod back in 1932, when Christian Andersen in addition to his orchard founded his chicken farm by buying 200 chicks. Half of the birds died due to illness, and his first egg check was only worth 7.20 DKK or approximately € 1. After World War II, the fruit trees gradually disappeared and the chicken farm business became the backbone of the company. In 1961, his son Soren Andersen became a part of the company, and in 1965 the chicken farm business was grown to a hatchery with a capacity of 250,000 eggs, and the hatchery covered both broilers and chickens for egg production. The size of the private flock had grown to 15,000 hens. In 1970, the chicken farm was also approved as a breeding center. In 1970, the distribution of poultry equipment started, and it soon included everything from drinking systems and feeding systems to cages and liquid vitamins etc. In 1977, the company made a generational change, so that Søren Andersen became the new owner and manager, and in 1979 the company received the name it has today, namely LANDMECO. During the 1980s LANDMECO began to manufacture poultry equipment. Initially nests were manufactured, and as the chicken farm’s own production was with hens on the floor, this gave good opportunities to experiment with different kinds of equipment in order to find solutions that worked better than the systems that were already on the market. Afterwards LANDMECO started to look into manufacturing feeding system, including both pans and troughs. The systems were both for broilers, breeders and layers. In 1996, LANDMECOs aviary system Harmony was launched. The system is still sold today, but in newly developed and modified versions. In 1999, LANDMECO launched it’s well-known patented pan feeding system with kick-off and easy-clean. The system is still sold today, but in a new and improved version. The son Karsten Andersen became a bigger and bigger part of LANDMECO from the late 1980s, particularly in the development of LANDMECOs own products. In 2007 Søren Andersen died and directorship was taken over by Karsten Andersen. In the years after LANDMECO went through an ongoing succession and the company is today managed and partly owned by Karsten Andersen. In addition to the mentioned products, LANDMECO manufactures many other components within the poultry equipment today, and the company has evolved to become Scandinavia's largest producer within poultry equipment, with exports to many parts of the world. 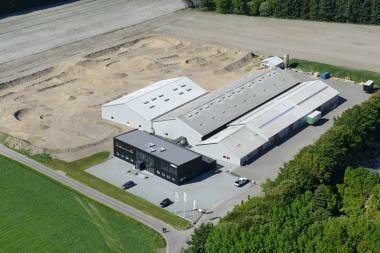 LANDMECO is Scandinavia's largest producer of poultry equipment. 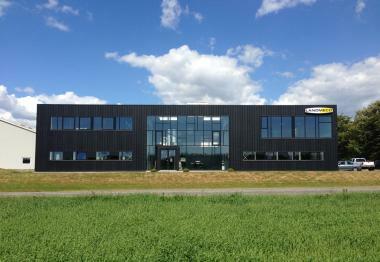 LANDMECO is based in Ølgod, Denmark, where we have designed and manufactured our products in more than 40 years. It is our history. From the very start, our ambition has been to create products that not only is good for the birds, but are also functional and reliable and provides our customers 'good value for money'. We do this by working closely together with our customers, by thinking smarter, and by always striving for a better solution. At LANDMECO there isn’t far from idea to action, whether it is new development, fine-tuning or renewal of existing products. The ideas comes mostly from the market, and as LANDMECO is working very closely together with our customers in all respects, the idea is tested shortly after it has occured, and it is evaluated whether it is an improvement compared to the existing functional, reliable and efficient products. We strive to constantly be at the forefront and ready for the future, in order to meet our customers' changing needs in the different markets. And our size is our strength. It allows us to maintain the high level of dynamism, innovation, speed and adaptability, which is so important in order to be at the forefront. LANDMECO will only deliver good quality. Therefore, virtually all of our products are developed and produced in Denmark, with only a few exceptions. LANDMECOs machinery is completely up-to-date with fully automated robotic cells, and we focus at all times on continuously improving our machinery to ensure a cost-effective production that can deliver the right combination of the right quality at the right price. Biomass Systems Supply is proud to be the exclusive distributor in the United States for LANDMECO.